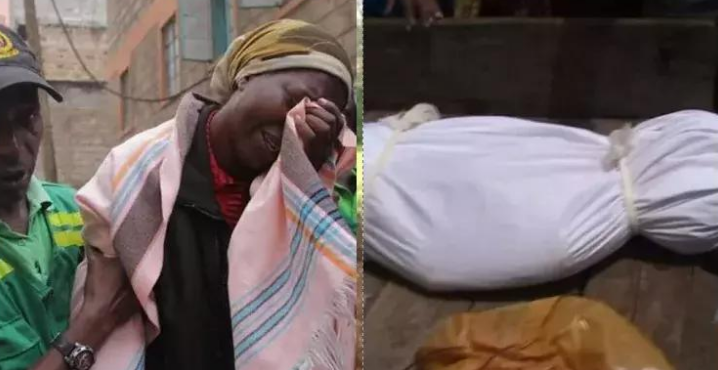 Residents of Marani area in Kisii county woke up to the shock of their lives when they found a body of a lady in the village lying motionless on the floor after being killed by her husband. It was gathered that Dominic Okangi, 33, strangled his wife, Damaris Kerubo, whom he had been married to for 15 years. Okangi strangled Kerubo to death using a rope following a slight argument on the evening of Sunday, March 26. Residents who were left stunned, described the couple as happy and which has never had family issues. On the fateful day, Okangi arrived home from Narok where he works and was received well by his wife. However, in the evening, neighbours heard them quarreling and thought it was a normal family issue. The following day, Kerubo was found dead on the floor of her house and Okangi had fled. OCPD Marani Benjamin Kimwele confirmed the incident and said police have launched a man-hunt for the suspect.